While I've been enamored with all the new plant offerings coming to my house via garden catalogs, there are a few that fall into the category I call, "Been There, Done That." It consists of those "new" things that don't look much different to me than what's already out there. Let's look at roses, for example. I know there's more to a rose than meets the eye (flowering habit, hardiness rating, disease resistance, etc.) and undoubtedly I'll have the rose afficionados pointing out why each of these is so much different from the other, but with some things I just shake my head in puzzlement. 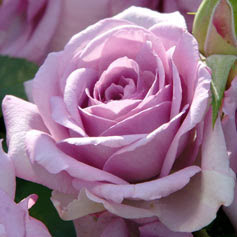 This year, Jackson & Perkins is introducing 'Enchanted Evening' floribunda to their rose lineup. Isn't it hard to get excited about this "new" rose when we've already got these to choose from? I understand that all of the above are floribundas (the first three) vs. hybrid tea vs. shrub. But I think you understand what I'm saying. And if they all were available to me, which would I choose? 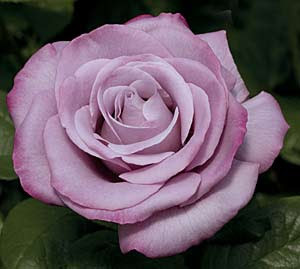 Photo credits: 'Enchanted Evening' - Jackson & Perkins; 'Angel Face' - Wayside Gardens; 'Neptune™' - Weeks Roses; 'Barbra Streisand' - Weeks Roses; 'Fragrant Lavender Simplicity' - Dutch Gardens; 'Ebb Tide™' - Weeks Roses; 'Burgundy Iceberg™' - Weeks Roses; 'Rhapsody In Blue' - Weeks Roses; 'Midnight Blue™' - Weeks Roses. Hi Kim! I'm familiar with 'Cardinal de Richelieu' and while it's lovely, it only blooms such a short time and I like to enjoy my roses all summer into fall. I had to look up 'Reine des Violettes' and it's pretty, too, but not quite the color I was going for. There are so many to choose from! TOO many! Which is sort of the point I was eluding to. This might not be a problem for most people, but I really have a hard time making decisions! Hi Kylee, I agree. I have been looking at yellow roses and there are just too many. I suppose Jackson Perkins and others think they have to come up with something, anything, new to keep their name 'out there' in the publics consciousness but it really is the same thing warmed over. They are all beautiful though. Criminy, the Midnight Blue is gorgeous. We planted a Wild Blue Yonder last spring and it has been fantastic, though the color seems to vary by plant! Greg ~ Oh yeah, the yellows are just ridiculous! Way too many to really choose "the best." But I suppose it's like other things in the retail world, and the American way - different "brands" of the same thing. It just seems kind of weird to me when it comes to cultivars. Stacy ~ I looked at Wild Blue Yonder when writing this post, and it is pretty, too. And I find that variation in color with many plants. There's so much that determines the color - soil, weather, etc. Kylee: talk about a round-about way to find someone's blog, I received a comment at my blog from Barbara, in Switzerland, who found my blog through Ewa's blog in Poland, which links back to me in Santa Barbara, to you in the frozen north! I'm so glad Al Gore invented the internet!...or something like that. If you have a mind to, pop over to my offerings. Lots to share with garden lovers and a few design tips, too, even if you don't have a subtropical Left Coast climate to work with. May your new year be chlorophyll-filled. Those roses are, owwww, especially the burgundy ones - which one to choose? no idea. This is why I fell last year for 'Reine des Violettes' - cos it is fragrant, looks beautiful, flowers long. I am absolutelypurelytruly in love with these!! 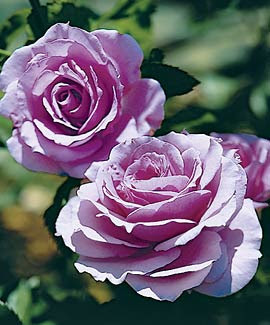 I have an unhealthy obsession with the color purple, and purple roses are just almost too much :) I currently am overwintering my first rose, which happens to be the 'Angel Face'. Despite being in semi-crummy condition when I bought her, she has proved to be a very hardy, beauitful, and fragrant addition! I pretty much want to add all of these as her companions! 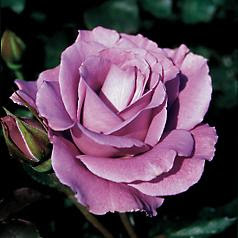 Mmmmm...not being a fan of hybrid teas or floribundas (too fussy for up here), I'd go with Tuscany Superb, Cardinal Richelieu or Veilchanblau for a deep purple rose. 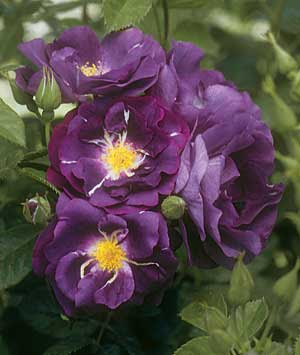 The two former are fragrant, Veilchanblau is just unique in its flowering habit and its colour, which is as close to 'blue' as any of these. Garden Wise Guy ~ Welcome to Our Little Acre! Yes, it's amazing how we get from here to there, all around the world, and before you know it an entire afternoon is gone. Well spent, though! I've been browsing your site and I'm so glad you decided to leave a comment here so I was able to find you! Oodles of great stuff there! I'd like to add a link to your site, if that's okay! Ewa ~ Thank you for linking to my site so that by reading your site, Garden Wise Guy was able to find me, which allowed me to find him! I'll bet if we look back far enough we'll find we're actually all related, too. LOLOL. Jessica ~ I love purple flowers, too. Not magenta, but that deep purple. 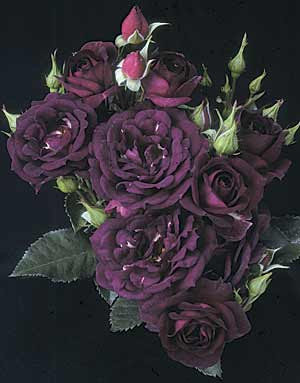 I know I will buy one dark purple rose this year, but I'm not sure which one yet! 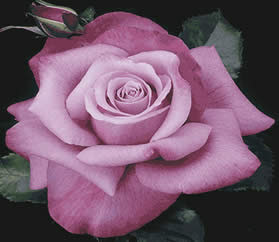 Jodi ~ I looked those roses up and 'Tuscany Superb' looks like it would be what I'm looking for. Teas and floribundas do well here, so that's not an issue for me, so I'm not sure what I'll end up choosing yet. You just added to my difficulty in making a choice, you know. LOL. 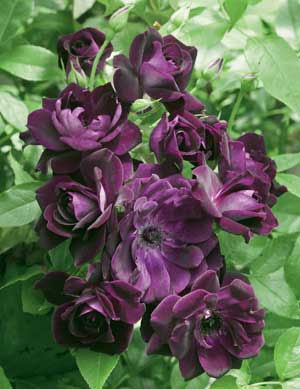 Those dark roses are beautiful! I did not know such roses exist... I could not choose one either. You shouldn't have shown all these beautiful roses ;-)!! Though they have "almost" the same colour, they do look different....and they are beautiful!! And this is the problem when collecting roses (or other plants). There is always a dilemma and the question "is this really a NEW plant and must I really have it". Luckily the remaining space we're having, will give the final answer! Great pics of lovely roses especially the last 4 ones. 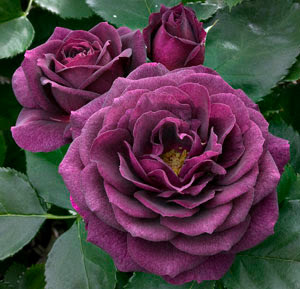 The Cardinal gets my vote too, I'm not that keen on floribundas and teas but that Midnight Blue looks scrumptious! Kylee, I think this about many plants. I won't buy a "new" one unless it is noticeably different than what has been offered previously.